Below you fill find all funeral homes and cemeteries in or near Brackenridge. Brackenridge is also known as: Allegheny County / Brackenridge borough. Zip codes in the city: 15014. Some of the notable people born here have been: (bud carson), (cookie gilchrist), and (jimmy leeward). Brackenridge is a borough in Allegheny County in the U.S. state of Pennsylvania, along the Allegheny River. It is part of the Pittsburgh Metro Area.The town is named for Henry Marie Brackenridge. The borough once had glass factories. 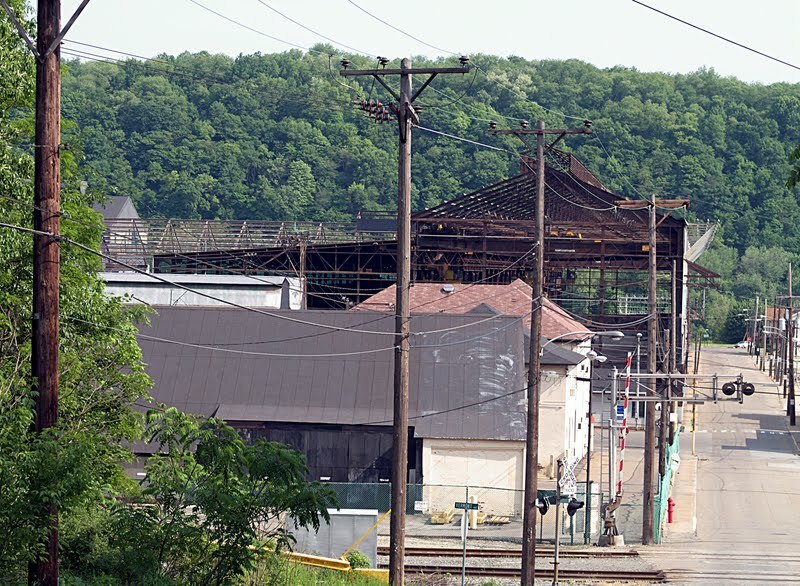 An Allegheny Technologies steel mill, Allegheny Ludlum Brackenridge Works, plays a prominent role in the community, although most of the facility is located in Harrison Township. The population stood at 3,421 in 1910 and at 6,400 in 1940. The population was 3,260 at the 2010 census. It was reported by Star-News on May 6th, 2018 that Bette Elaine Higgins (Ort) passed on in Wilmington, North Carolina. Ms. Higgins was 90 years old and was born in Brackenridge, PA. Send flowers to express your sympathy and honor Bette Elaine's life. It was revealed by Sarasota Herald-Tribune on April 20th, 2015 that Charlaine Ream (Schwab) passed away in Sarasota, Florida. Ms. Ream was 83 years old and was born in Brackenridge, PA. Send flowers to share your condolences and honor Charlaine's life. It was noted by Columbus Dispatch on October 24th, 2013 that Robert J Kuhn passed away in Ohio. Kuhn was 78 years old and was born in Brackenridge, PA. Send flowers to share your condolences and honor Robert J's life. It was reported by Seattle Times (2000-present) on July 17th, 2011 that Stanley N Hall passed away in Bellevue, Washington. Hall was 91 years old and was born in Brackenridge, PA. Send flowers to share your condolences and honor Stanley N's life. It was reported by Arizona Republic on May 21st, 2011 that John Kennedy Ohl died in Mesa, Arizona. Ohl was 69 years old and was born in Brackenridge, PA. Send flowers to share your condolences and honor John Kennedy's life. Brackenridge is a borough (Pennsylvania) in Allegheny County, Pennsylvania County, Pennsylvania, along the Allegheny River and is part of the Pittsburgh Metro Area. . . . . The official website for the city of Brackenridge is http://brackenridgeborough.com/index.html. Here are the results for funeral homes in Brackenridge Pennsylvania. You can find some of the best funeral homes businesses serving Brackenridge. Listing all funeral homes in Brackenridge, Pennsylvania so you can easily send flowers to any location (same day delivery) or find any funeral service. We work with local florists and flower shops to offer same day delivery. You will find budget sympathy flowers in Brackenridge here. Our funeral flowers are cheap in price but not in value.